The Nicene Creed is a concise introduction to the ecumenical creed of Nicea. 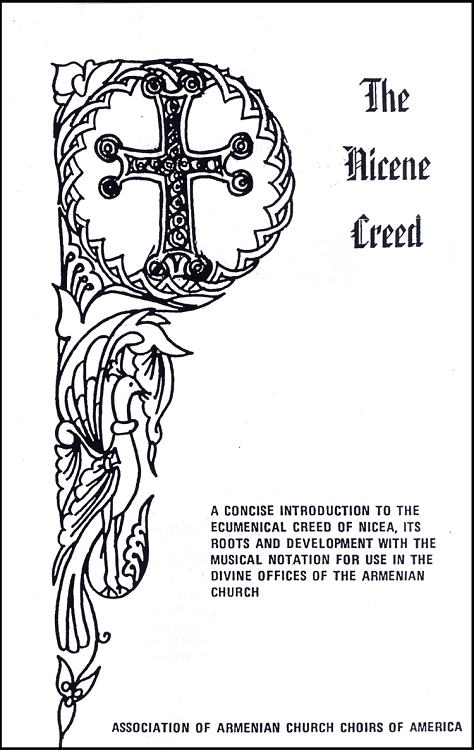 This booklet highlights the roots and development of the creed and includes the sheet music used during the Divine Liturgy of the Armenian Church. The hymns are written in Armenian and English transliteration.